Organization is the complex set of activities which is performed by several persons in order to earn profit. 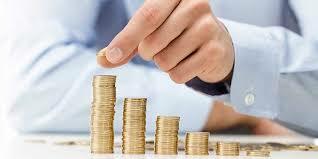 In order to perform organizational tasks and process activities each and every organization needs financial resources. It is the chief financial officer who is responsible in arranging funds and making financial policies for the better management of funds in all the required activities of the organization. CFO is included in the key managerial persons. We have taken Fair Fax media to put the responsibilities of the CEO and how he manages the work in orderly and efficient manner. Question-1 Describe the three general areas of responsibilities of the Chief financial officer of the company? Fair Fax media Ltd is an Australian stock exchange listed company and has been running its promotional business since very long time. MR. Fallon is the CEO and managing director of the company who holds degrees of bachelor of management degrees. As per the Highlights made by the CEO in company’s annual report It is observed that company has been making pleasant progress with its effective strategies and has been using stakeholders satisfaction process program to have sustainable development(Such & Rovatsos, 2016). Management and operation of the company- This area is coupled with all the relevant activities which are used to manage all the key functions in the organization. Mr. Fallon has been using its own discretion to deploy various functioning and has been subdividing works to other department that can be performed in orderly manner. CEO is mainly responsible for the proper structuring and delegating of all authorities to other managers who could be ready to hold the power as per their own perfuming stages. Management of the organization is comprised of mainly works of management department to get works done of different process system from the employees in efficient approach. CEO makes all the policies and frameworks and come up with effective strategies for the better and valuable functioning. In this following part CEO has to take cares of the following functioning’s e.g. Financial performance- It is the core responsibilities of the CEO to have a complete look over the matter which are comprised of financial performance of the company in the market. In this MR. Fallon check all the key area such like company’s profitability index, rate of return on the investment made, capital budgeting, net present value of the investment made at the time of holding new of business and further more. Fair Fax media is growing company and has been using strategic viewpoints to make its process system better and deploying its financial resources in adequate manner for the better management of company’s brand image and product quality. In addition to this CEO is merely responsible in handling all the relevant financial activities in the organization but with the provision of delegation of power of authority and establishment of different set of structure Fair Fax has delayed Chief financial officer in finance management activities of the organization. 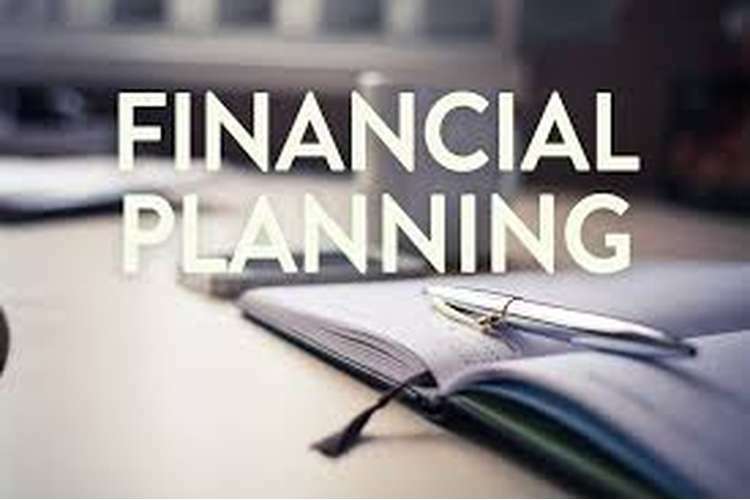 CFO also needs to look after matters such as whether company’s assets are deployed in right activities and financial resources are used after making complete analysis such as computation of net present value, ratio analysis and gearing ratio in orderly manner. CEO MR. Fallon has been accompanied with high level of knowledge and has been using his own discretions in the betterment of the company. There are certain graphs presentations which are used while interpreting data of financial performance of the company by the CEO. This graph shows that company has made very good improvement in its operating activities and has been showcasing a drastic level of changes in its financial activities. Supervision of Board of Directors decision- It is the utmost responsibilities of the CEO to takes care of all the relevant actions taken by Directors and respond as per the requirement of the situation of the company. MR. Fallon has been gone through the entire procedural requirement to keep all the stakeholders interest in safe by making proper surveillance on all the acts of directors and resolution passed. It is the board of directors of the company who takes all the decision and provides a clear path to drive the company but CEO of the company with its due diligence and analytical skills shows the right path to the directors and provides them a clear point of view of the threatening factors in possible circumstances. There are various laws and regulation in the Australian countries which puts CEO equally responsible in case of default made by the company to its stakeholders. Therefore it could be said that CEO of the Fair Fax is totally responsible for the all the possible functioning in the organization inbound and outbound activities in timely manner unless otherwise provides. There is other view point to understand the financial position of the Fair Fax given as below (Davis, 2016). In 2015 company has recorded significant expenses of total $ 61 million which is quite high and has also earned $ 155 million income in the same year. In addition to this cash and Cash equivalent has been decreased by $ 108 Million. Explain how those responsibilities affect the ultimate objective of the company? Ultimate objectives- This could be defined a very simple wanting or desire of the company for which all the activities are involved in collaborative manner. These are the expected end results of the company CEO is mainly responsible person who needs to understand several aspects which are required to understand so that proper accomplishment of the goals could be made. CEO of the Fair Fax is accompanied with several activities and responsibilities which are required to accomplish goals and objectives set by the organization. Fair Fax media is committed to creating a workplace that is fair and inclusive that reflects the diversity of the business. CEO is responsible for all the activities in the organization but in context with three responsibilities we could say that those responsibilities of the CEO could surely affect the company’s objectivity in determined manner that are shown as below. Fair Fax media is comprised of several complex set of activities and CEO is covered into managerial persons who are in the panel to take all the business decision at the top level. It is the fact that due to the high Burdon of work load and company’s functioning CEO thinks in very efficient manner and takes right decision for the sustainable future of company. Although it affects the company’s durability to achieve set goals and objective but it increases efficiency in very well approach. In addition to this CEO of the company have also established diversity guidelines which will set company’s culture and committee to endorse measurable objectives for the particular year. MR. Fallon has highlighted in its reports that Fair Fax has been making pleasant progress throughout the time with the innovative and creative ideas and strategic plans developed by his constructive efforts and team building. In addition to this company has also depicted EBIT of $ 289 Million which is far more enough to its rivals in the same group mapping segment. In addition to this it is also found that CEO is handling several activities either they are strategic plans and developing policies and framework for the tactical decision in organization functioning. It is clearly depicted that under the one guidance company was unable to generate new ideas and creative process system to develop core competency in industry. (Lavelle & Phillips, 2016). MR. Fallon has also showcase its graphical representation for the stakeholders understanding and how company has made progress in its stock price in the relevant time period. There are following other factors and drawback of the CEO which can significantly affects the ultimate objectives of the Fair Fax Ltd.
1. CEO is coupled with high volume of activities and that represent his less time involved in making complete level of analysis on the particular project. 2. There is no authority over the CEO as he is the only whole sole highest authority in the organization therefore he needs to be free to thinks over the matter of company’s success and its efficient working in the long run. 3. Responsibilities of the CEO is Unlimited to the extent and its depicts that Mr. Fallon needs to make additional efforts too by making alteration in its Memorandum of association and article of association in order to save his from the happening of default in the company process system. 4. MR. Fallon will not enter into any of the related party transaction even if it is profitable to the company’s performance. This type of regulation depicts the utmost hurdles in the company working system and achieving goals and objectives. Question-2 If the efficient-market hypothesis is true; the pension fund manager might as well select a portfolio with a pin.” Explain why this is not the case? Efficient market- Market is comprised of various set of organizations and their values in the scriptures listed on portals of the stock exchange are taken for the valuation for the purpose of determining whether the market is efficient or not. Efficient market is considered to be that market where returns to the investors are quite high compare to the other market. Efficiency of the market is affected by several factors such as economic factors, technical changes, political rigidness, social impact of the public at large. At the time when the market is efficiently giving high returns to the public then they better like to swath their investment amount in market investment portfolios. Investment portfolio is comprised of all the securities in the capital market which are giving high level of return to the investors. Ideally all the investors like to make investment in mutual funds for the better management of risk and insuring high level of return in identified manner (Mandell, et. Al., 2016).While making investment in portfolio or preparation of same investors needs to make analysis or capital budgeting of its resources for the better management or earning high profits on their investment. Hypothesis about the market efficiency could be evaluated with the performance of blue chip companies in Australasian market which are offering their shares to the investors so that they could make a good capital market of securities. Securities are issued in the market as an IPO or FPO and then letter on both are traded on the stock exchange side for generating profit in determined manner. Efficiency of market is dependent term on the several factors which showcase various preseason s to make the market securities at high and low cost. Organization in order to sell their securities to the investors enter into underlying agreement with the underwriter who eventually end up these shares to the local fund managers in orderly approach(Wurf, C. 2016). In this report I have understood several aspects of the CEO working and his responsibilities in the organization. He is the key foundation of the company and provides a clear view point for the proper functioning of the company’s resources to accomplish the determined goals and objective. In addition to this I have observed that efficient market focus on fetching as much money as to make market demand satisfy with the particular phase of scriptures in the securities market. Now I want to conclude my report by saying that investors are inclined to those investment projects which gives high level of return comparatively and also ready to take risk in the given factors. "From the CEO", 2016, Australasian psychiatry : bulletin of Royal Australian and New Zealand College of Psychiatrists, vol. 24, no. 3, pp. 318. Davis, P. 2016, "MidSouth in La. Gives More Responsibilities to CEO's Son", American Banker, vol. 1, no. 152. Lavelle, A. & Phillips, J. 2016, "CEO and Chair report", Australasian Biotechnology, vol. 26, no. 1, pp. 4-7. Mandell, S.P., Baron, S.L., Armendariz, D.E., Arishita, M.K., Borger, J.P., Harris, N.A., Healey, B.J., Hickey, R., Kelley, M.E., Kissinger, A., Larsen, J.R., Leatherbury, T.S., Mast, K.E., Rodriguez, K., Walker, L., Williams, T.J. & Zansberg, S.D. 2016, "RECENT DEVELOPMENTS IN MEDIA, PRIVACY, DEFAMATION, AND ADVERTISING LAW", Tort Trial & Insurance Practice Law Journal, vol. 51, no. 2, pp. 543. Wurf, C. 2016, "CEO's Report", Journal of the Australian - Traditional Medicine Society, vol. 22, no. 2, pp. 67.